(From left): Dr. Ma. 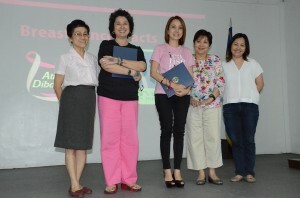 Corazon Reyes, immediate past director for Basic Education, Miriam College; Alya Honasan and Kara Magsanoc Alikpala of ICANSERVE Foundation; Dr. Rosario Lapus, president, Miriam College; Luwi Tampinco-Lunas, Middle School principal, Miriam College. SOMETIMES, it takes a teacher to effectively disseminate possibly life-saving information on breast cancer awareness and prevention to young women. 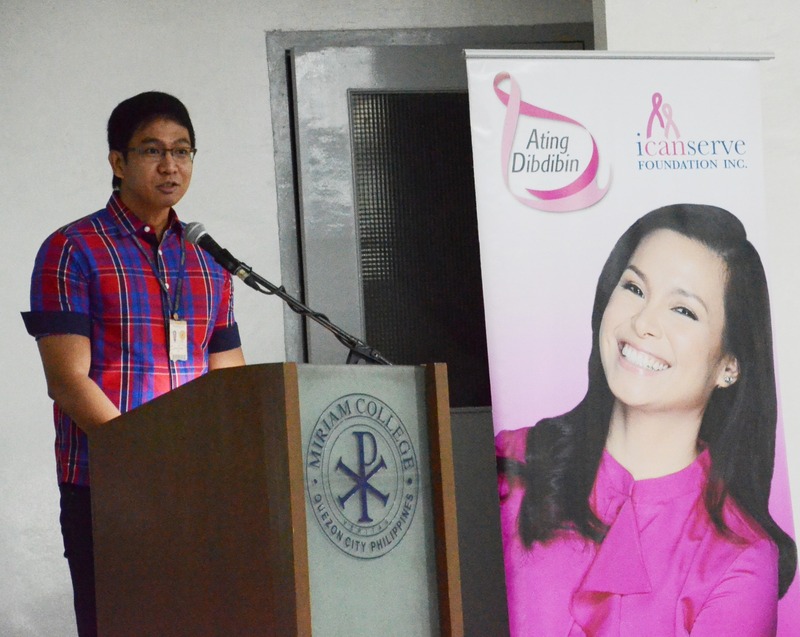 ICanServe Foundation brought its message directly to the Female Basic Education Unit teachers of Miriam College in Loyola Heights, Quezon City on May 27, 2015 at a Breast Cancer Awareness Forum at the College Little Theater. 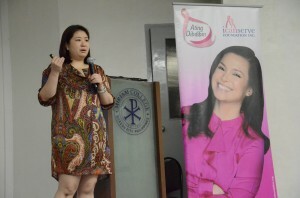 ICanServe was invited by Dr. Rosario Lapus, president of Miriam College, and Dr. Ma. Corazon R. Reyes, immediate past director for Basic Education. 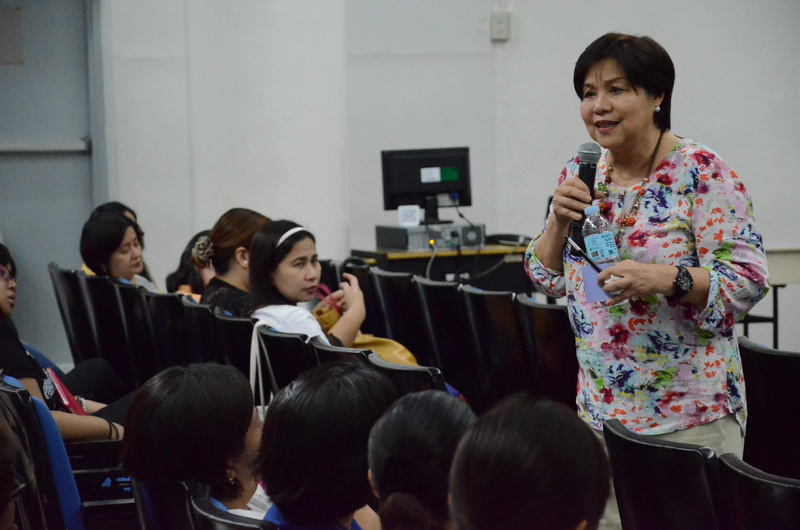 Dr. Edizon Fermin, director for Basic Education, welcomed more than two hundred teachers that gathered for the event. 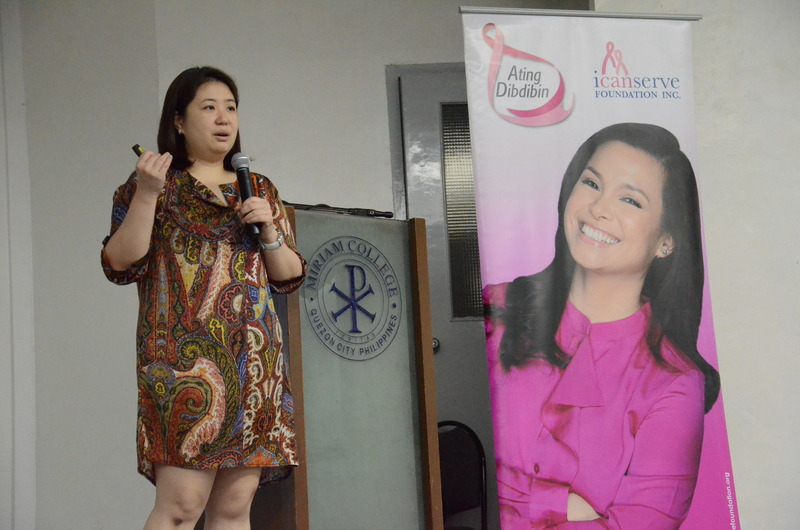 ICanServe was represented by its managing director Lanie Eusebio; founding president Kara Magsanoc Alikpala, who talked about the reality of breast cancer in the Philippines and the work of ICanServe; Dr. Michelle Uy, breast surgeon, who bashed some myths about breast cancer and discussed the proper procedure for self-examination; and writer Alya Honasan, who discussed her experience as a breast cancer survivor.